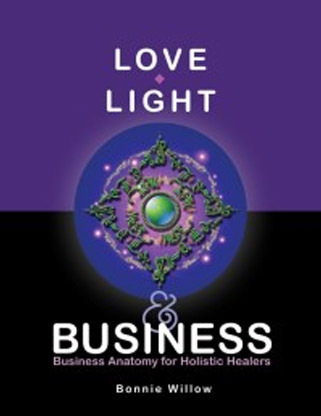 Bonnie Willow is a certified practitioner of Light Touch Metaphysical Healing, Christa Healing Method, Lightwave Energy Healing, Perelandra Processes and essences, Craniosacral Biodynamics Level 1, Soul Focused Healing / Esoteric Healing, and is a Reiki Master Teacher. She has combined the very best of all that she’s learned into one method of healing called Transformative Healing. There is plenty of room for creative development of each person’s unique skills and abilities in this training program. THIS IS FAR MORE THAN LEARNING A NEW TECHNIQUE. We learn about practitioner presence, preparing your own energy field, clearing and grounding yourself, use of intention, appropriate focus, sensing energy, creating protective and nurturing space, various methods of sending energy, becoming an effective conduit, healing with love, God/Source as the Healer, invocation of the appropriate level of energy, and use of various tools to enhance the energy. In addition to all of this, we learn techniques. In each class we practice healing either on ourselves or on one another. Thus, each student receives an ample quantity of free healings during the course of the training! Beginning Transformative Healing consists of 6 classes. Intermediate Transformative Healing consists of 8 classes. After completing the Intermediate Level, students will be given the choice of continuing on with Advanced Transformative Healing, or branching off to take workshops in Soul Focused Healing, taught by Deborah Mills at The School of Peace. Plenty of information will be given, to explain the choices. That choice will be determined by each students personal goals. At this time, Transformative Energy Healing is only taught in person. Bonnie is available to travel in order to teach this in a condensed workshop version if desired.